Capitalist societies are by their nature relentlessly future oriented, so that people, and especially young people, often have little appreciation for the way historical events have framed their attitudes, global outlook, and behaviors. University students, most of them barely in their twenties, think of the creation of facebook as the most important event of the last century. 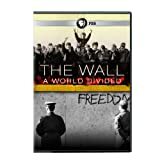 The film, The Wall: A World Divided throws its audience back to the birth of the cold war era, drawing our attention to the events of history that partitioned the world both physically and conceptually, and then it documents the deconstruction of that wall and the collapse of the dichotomous mindset that it represented. What is extraordinary about this film is that it shakes up our view of this critical phenomenon of the twentieth century, by introducing us to "the wall" not from the western side, as we are accustomed, but from the east, from the side of its victims. The Wall unfolds, in film, artistic sketches, old news reels, and interviews, the rise and fall of a mental and physical barricade that went up overnight. The Berlin Wall ran through the city of Berlin but it split the world in two, changing instantly the lives of ordinary citizens, separating families, forbidding employment, and closing people off from the broader world. But the wall also reconstructed the reigning worldview and established a "Cold War" mentality in the minds of people both west and east. The film's description of the wall is particularly fascinating. This was no simple stone and mortar barrier that merely needed to be scaled, but a series of barricades, a series of hurdles, each with its own set of deterrents for would-be transgressors. If the (first) wall did not dissuade the escapee, then there were alarms, searchlights, dogs, barbed wire obstacles, sensors, and sand belts, not to mention the heavily armed guards in watchtowers every few hundred meters. Sixty to ninety yards of quasi-impenetrable strata of barrier upon barrier, directed at trapping a valuable labor pool and stopping the influx of non-socialist ideas, turned a "homeland" into a "prison" that begged to be torn down for almost three decades. The Wall traces the movement that collapsed the wall and freed those behind this "iron curtain," showing that liberty arises not from decisions and agreements crafted in the Oval Office or the Kremlin. It begins in the Protestant Churches, where ordinary people who yearned to be free--environmentalists, feminists, punk rockers, and peace activists--conspired successfully to collapse an empire. The film is deeply moving. It celebrates the courage of the human spirit and the power of the human thirst for freedom against the harshest tyranny. East Germans recount desperate escape attempts--sometimes successful, sometimes tragic failures that took the lives of the heroes and their families-- that record the human cost of the wall. These terrifying accounts contrast starkly with the scenes of stable, seemingly changeless order, which maintained along the death strips between the outer walls, where one of the most stringent rules observed by the border guards was: Keep the bodies out of sight. This film is compelling. It would be a benefit for inclusion in any college-level study of the formation of the Contemporary World.